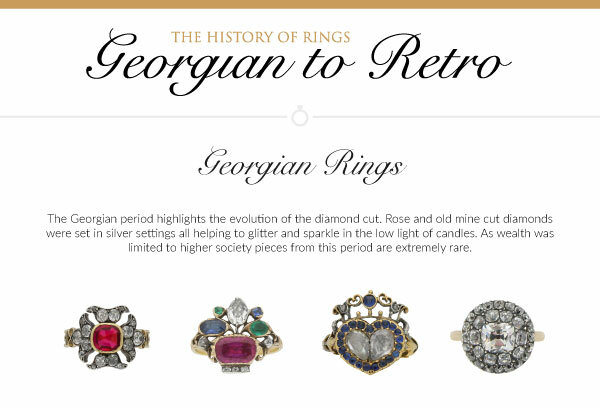 This infographic is on the history of rings, ranging from Georgian times to todays type of rings and just how much they have changed. Berganza have used many different types of rings to produce this infographic such as Art deco, Edwardian and Victorian which are all very iconic but each are extremely different to each other. Please see the infographic for many more different types of rings. Build your own fashion style & personalize your clothes!